Lincoln: A Photobiography by Russell Freedman, the Newbery Award winner for 1988, is absolutely fantastic. I learned a lot as I read the short 150 pages about the life Abraham Lincoln, complete with a brief introduction to the political turmoil surrounding him in the 1840s, 1850s and 1860s. I forgot I was reading a children’s book. Freedman intersperses his clear, straight-forward, and intensely interesting text with photographs and paintings of Abraham Lincoln and his era. Thus, I felt like I could see the development of Abraham Lincoln throughout his life. My favorite picture of Lincoln was this one. Lincoln said it was his best likeness, but some people, notably his wife, didn’t like the disheveled hair! There were interesting facts and tidbits that made Abraham Lincoln real for me. The best part was it was all backed up by Freedman’s research. In the acknowledgments, he includes a list of museums, libraries, and books that he referenced while writing this book. In the text, he debunks some myths for lack of evidence. In the end, I fully trust Freedman’s account of Lincoln to be as close to fact as possible. And yet, it was easy to read, delightful, and approachable. I highly recommend Lincoln: A Photobiography to anyone, child or adult, interested in learning about our sixteenth president. 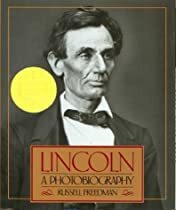 I read Lincoln: A Photobiography for the U.S. Presidents Reading Project and my personal Newbery Award reading challenge. If you have reviewed Lincoln: A Photobiography on your site, leave a link in the comments and I’ll add it here. In the picture you linked to, he looks like a folk singer. 🙂 This book looks good!! PS Don’t forget to link your review to the Project site if you want to. I remember reading this one several years ago and loving it. Team of Rivals is very readable despite its length–I hope you enjoy it when you get to it. These two books are the only ones I’ve actually read about Lincoln, but I think I started with two of the best! Lezlie, hey thanks for the reminder! 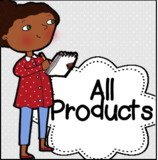 I try to review my books at the end of the month and add links, but I went over and linked just now so I won’t forget. I look forward to reading more about Lincoln this year! Shelley, I do want to read Team of Rivals. It’s just a matter of when am I not already reading a 700 page book! I don’t want to read just to read it. I want to enjoy it too. So maybe next year! I’ve been trying to read all the Newbery’s and the Newbery Honors over the past year or so but I’m just now buckling down. I plan on getting to this one eventually! Ladytink, I highly recommend it. It’s delightful.